Instagram’s move to reduce the visibility of heavily hashtagged posts (in favour of sponsored messages) has potentially serious consequences for advertisers and brands. 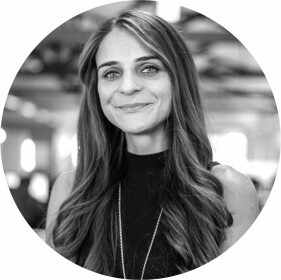 In this opinion piece, Web Profits’ head of social, Katherine Chalhoub (pictured below), offers some tips on how to maintain organic user growth. But we have been here before. As usership of any social network grows, so too is the likelihood of a ‘pay to play’ model. We saw this with Facebook, and now it’s Instagram’s opportunity to cash in. But it’s not all bad. From what we saw with the recent AANA updates to influencer marketing regulations, greater transparency and authenticity will need to be integrated within any Instagram marketing strategy, from both paid and organic efforts. Marketers have to really zero in on understanding the wants and needs of their desired audiences and look at employing thumb-stopping ways to engage users in genuine conversation. Influencer marketing is a sure way to grow relevant followers through the cross-promotion of non-competing profiles. The exchange of goods or services is often a great way around influencer and admin fees and controls the goods or services creatively expressed in the influencer’s content. Be sure to get strategic on how Influencers are selected, with HelloSociety’s findings indicating it’s the mid-range that have the greatest (relevant) traction. Keeping user attention is essential when looking to maintain ongoing interest and brand loyalty. What better way to do this than through weaving imagery of them within your own content strategy? It offers them their 15 minutes of fame and delivers authentic content. As they say, there’s no greater means of persuasion than word of mouth. Frank Body grows brand advocates really well through its campaign hashtag #thefrankeffect. Try rewarding engaged users with exclusive offers or campaign promotions through Instagram Stories. The follow-through nature of this feature implies content will be absorbed, at the least bit subconsciously. Raw content is also on the rise, with studies indicating users favouring authentic formats over polished posts. The ‘real’ behind the scenes snippets are what users want insights on; who’s doing what and where? 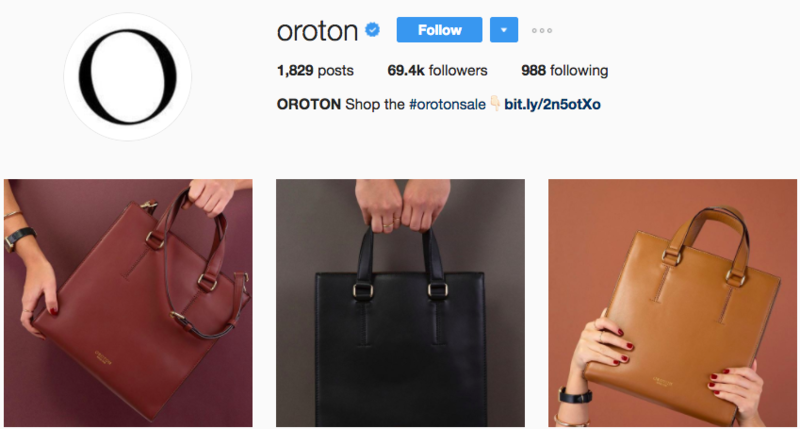 A brand doing this consistently well is Oroton. Its traditionally polished look has been appropriated to social with a fresh, youthful spin balancing with the brand’s overall tone of voice. Giveaways or competitions are really effective when asking users to share imagery. Developing a branded hashtag is an easy way to collate entries and repurpose within your future marketing or content campaigns. 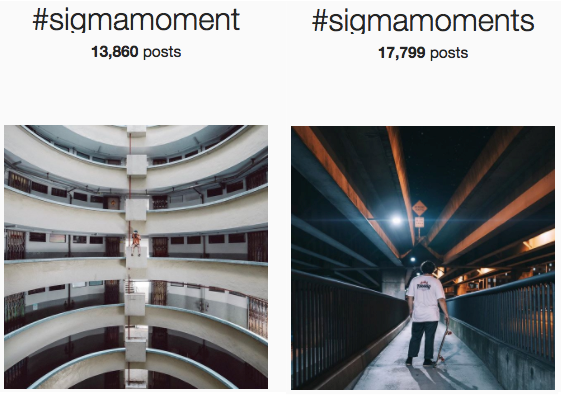 An awesome example of this is Sigma Photo Australia, who has collected more than 21,000 pieces of user generated content (UGC) through thematic #sigmamoments lens giveaways. The bio link is a great opportunity to offer a downloadable assets or promote event sign ups. Not only will this be easier to access through complementing content promoting this highlight, but in combination with one or more of the above strategies, expect interactions to go into overdrive. 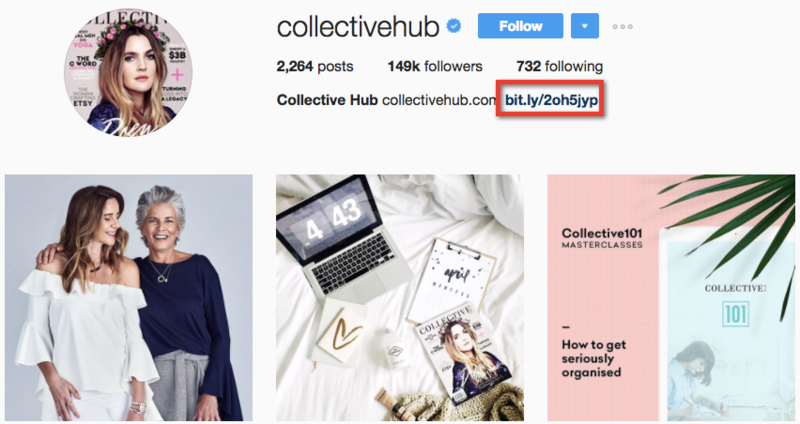 Collective Hub does this well, with the current promotion of their upcoming ‘How to Get Seriously Organised’ Collective 101 Masterclass event link shared in its bio (as well as being tracked to monitor Instagram traffic and attribution to sales). In addition to this, the brand is also marketing the event through Instagram posts, video and Instagram Stories, ensuring no matter where users see them on the platform, the topic of conversation ties back to their trending theme. It also helps that Lisa Messenger (the brand’s founder and editor-in-chief) has huge sway as an influencer in her own right, with 107,000 Instagram followers of her own. People don’t buy a brand – they buy into the brand story. Keep it real, relevant and relatable and your community will grow. Users are ready to be actively pursued, you just need to speak their language in a way that identifies your purpose and prominence amongst your competitors. Like any relationship, credibility and trust is the foundation from which everything worthwhile is built upon. Establish that and you’re set to stand out.